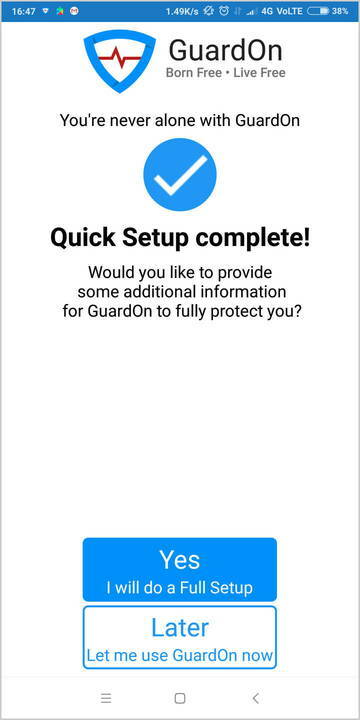 If you haven't already, download GuardOn from Google Play Store if you're on Android or Apple App Store if you're using an iPhone/iPad. 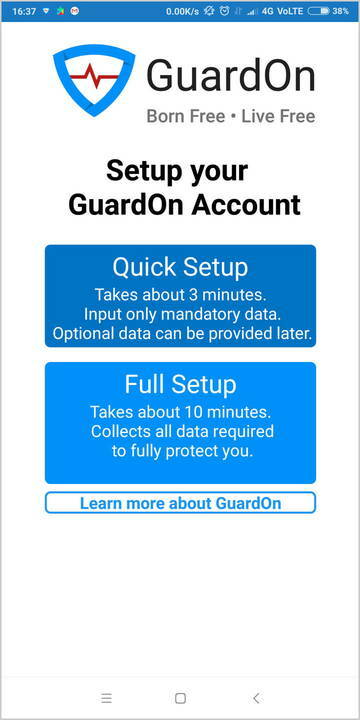 Once installed, simply tap on the GuardOn app icon to launch the app, just like any other app! 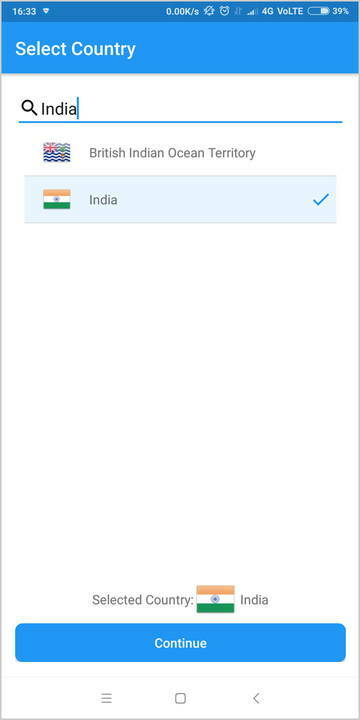 Once the app has started, simply search for your country, select it, then tap Continue. 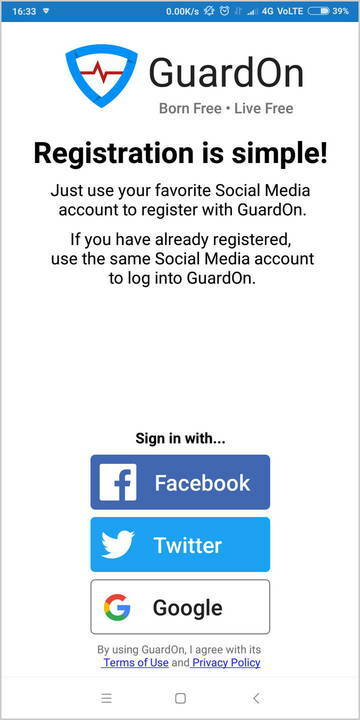 Use your Facebook, Twitter, or Google account to sign into GuardOn. On successful sign-in, you'll receive this welcome message. Please read the instructions carefully, then tap Continue. 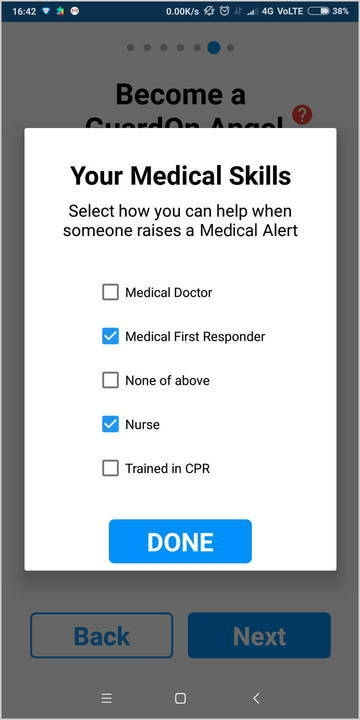 Tap the Quick Setup button. 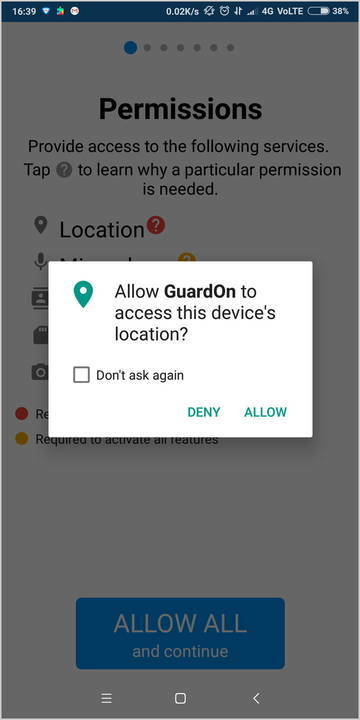 Please tap Allow All to provide all permissions required by GuardOn for optimal functionality. You might be prompted to confirm provision of requested permissions. Please tap Allow for each prompt. 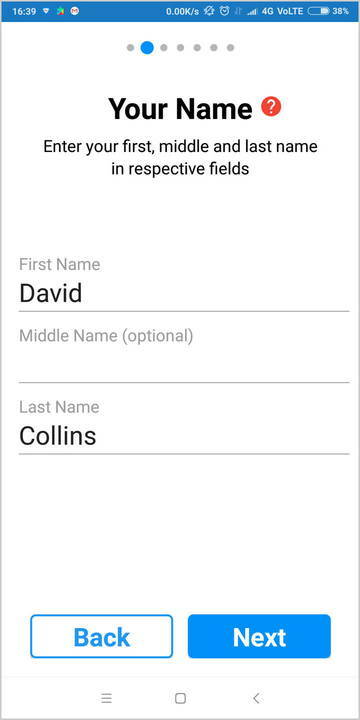 Please enter your first, middle, and last name in respective fields, then tap Next to continue. 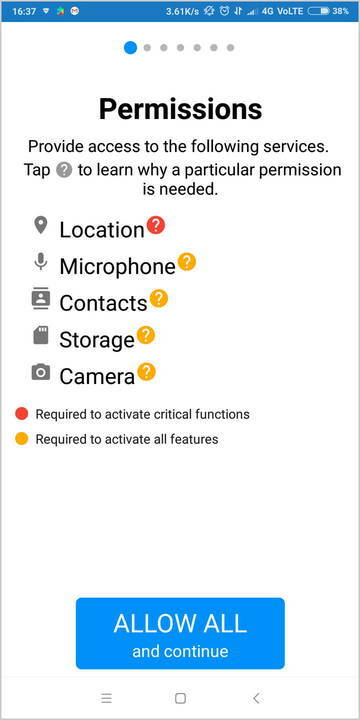 Tap the camera icon to launch your camera app, then take a selfie. 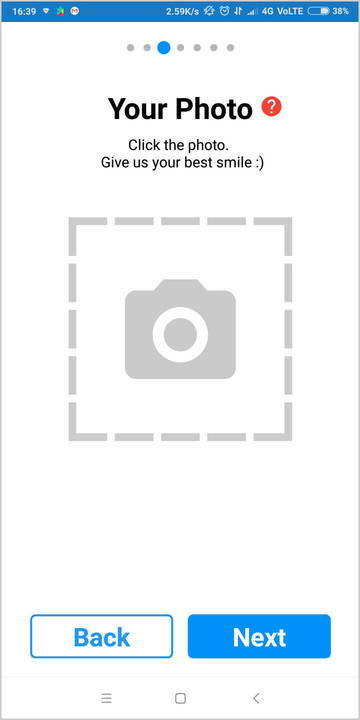 * The picture will start uploading once you tap Next. Note that it may take some time depending on your network—so please be patient. 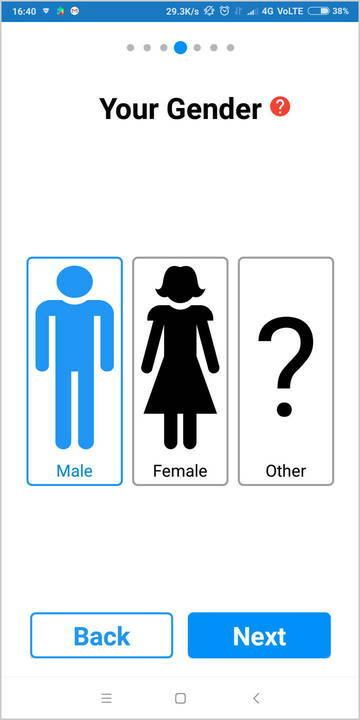 Tap the appropriate Male/Female/Other icon to select your gender, then tap Next. 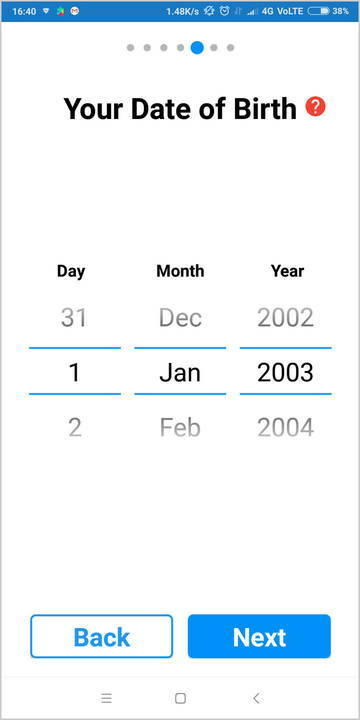 Swipe up/down on the date, month, and year spinners to select your date of birth, then tap Next. 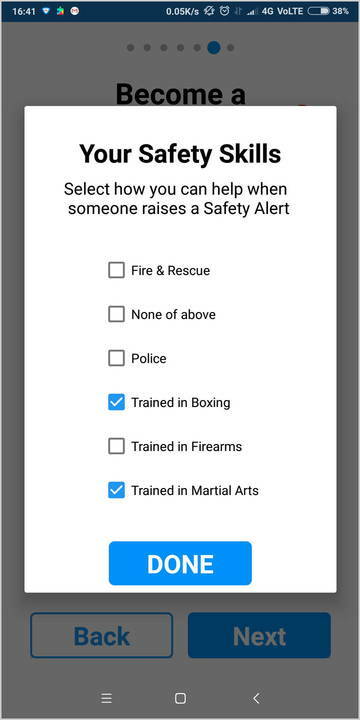 Become a GuardOn Angel by choosing to receive Safety and/or Medical Alerts. 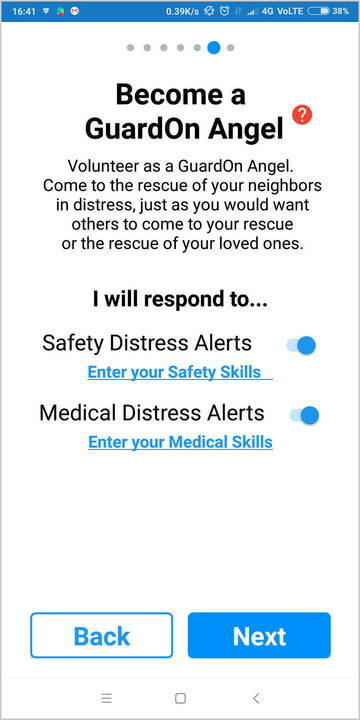 Make sure you provide your safety/medical skills to let us know how you can help during such emergencies. Once you've done that, tap Next to continue. Please enter your phone number, choose whether it's a personal or work number by tapping on the toggle buttons, and then tap Send OTP. 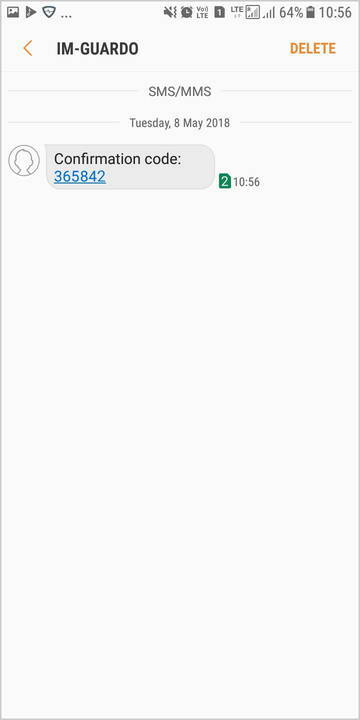 You'll receive a 6-digit numeric code via SMS in a few minutes—pleasecopy it. 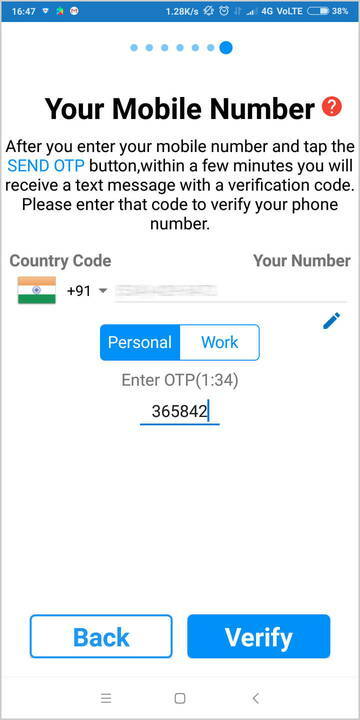 Paste/enter the numeric code in OTP field, then tap Verify. That's it! You've successfully completed the setup and are now a proud member of the GuardOn community. 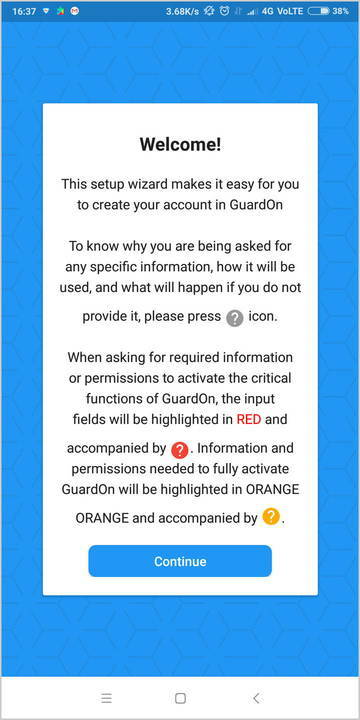 Tap Later to start using GuardOn!